Heat 1/2 tablespoon vegetable oil in a large pot over medium-high heat. Pat the beef dry and season with salt and pepper. Brown in batches, about 4 minutes, adding more oil as needed. Transfer to a plate. Reduce the heat to medium and add 1 1/2 tablespoons oil to the pot. Add the onions and garlic; cook, stirring, until golden, about 6 minutes. Add 1/3 cup chili powder, the oregano and tomato paste; cook, stirring, 30 seconds. 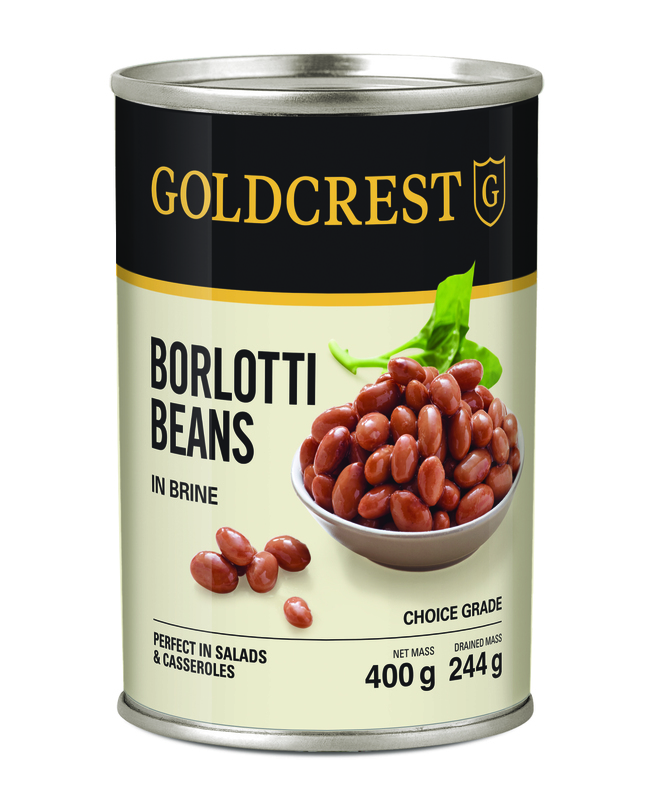 Return the meat to the pot and stir in the tomatoes with their juices, broth, espresso and GOLDCREST borlotti beans. Bring to a boil, then reduce the heat and simmer, partially covered, until the beef is tender, about 2 hours. In a grill pan light brush the tortilla wraps with oil and toast on each side until golden and crispy. 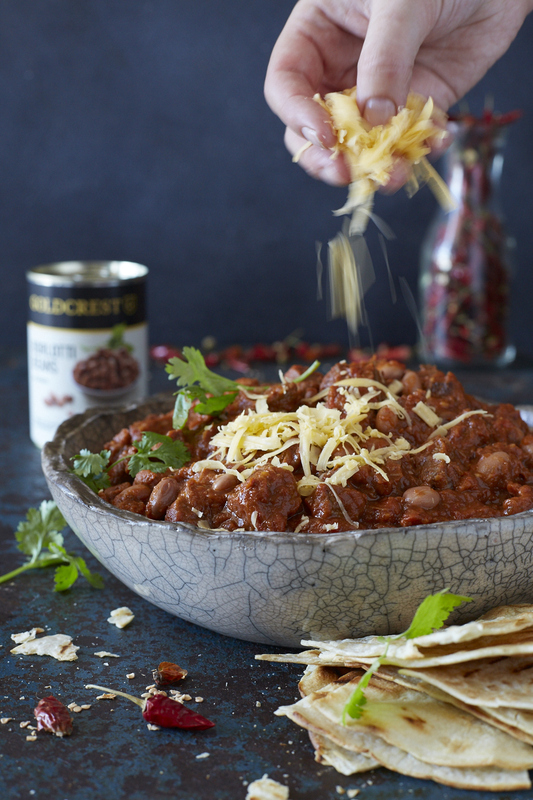 Serve the chili in a bowl and top with cheese. Serve the toasted tortillas on the side.